As regular readers of this column will know, I consider The Miz the greatest guy to grace WWE in years. While I acknowledge that WWE is full of far more technically sound superstars, pound for pound, it is The Miz who captivates and entertains me above all others. 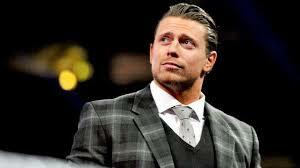 It is for this reason that I was delighted to see The Miz not only return to Raw this past week, but also for it to be announced that he was challenging Roman Reigns for the Intercontinental Championship on Raw's 25th Anniversary. Oh, and the little fact that he teaming with Asuka in the mixed match challenge! That's my new favorite to win right there. Curiously, The Miz seems to have returned as something of a face. Sure, his actions and attitude were still somewhat heel, but the crowd seem very pleased to see him and go along with his chants and prompts. Maybe it was just a case of action makes the heart grow fonder, but I believe more and more people are seeing The Miz for the workhorse talent that he is. I was disappointed when The Miz lost the Intercontinental Championship to Roman, because he was so close to becoming the longest reigning combined days title holder—a fact that WWE themselves were regularly promoting both on television and social media. I understand The Miz had to lose it go film The Marine 6, but the fact that he appears to be embarking on a new title hunt may well mean that he is on a collision course to get that record broken. In my opinion, the time is right for this. WWE cannot trade on the past forever, and if no star ever matches up to the heights of their forefathers, think about how that reflects on the present crop of stars. Is Bray Wyatt cursed? I love the character, but he seems incapable of having a good feud with anyone. One would think that a maniac vs. maniac rivalry like his current one with Matt Hardy would write itself, but I have almost no interest in how this one is turning out. Perhaps, my particular problem with it is how tepid Woken Matt Hardy feels against Broken Matt Hardy. As I feared, WWE has yet to fully capitalize on what they could do with this character. 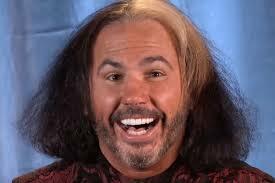 With the exception of him playing chess with a goldfish, where is the truly wacky and inventive stuff that made Broken Matt Hardy so successful? Senor Benjamin, Vanguard 1, King Maxwell, the Hardy compound, and of course, a dilapidated boat! These outside elements are what helped to make Matt Hardy such a star. So far, Woken Matt Hardy has been confined to the Titantron, ring, and backstage promo. Sadly, WWE seems reluctant to invest in many skits outside the confines of arenas these days, but what they save in production costs sure does not equate to what they could gain in character development. 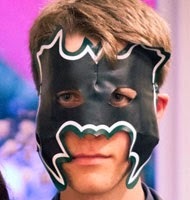 Maybe there are legal ramifications behind some of the aforementioned aspects of the Broken Matt character, but why did they fight tooth and nail with TNA just to present a watered down version of it?